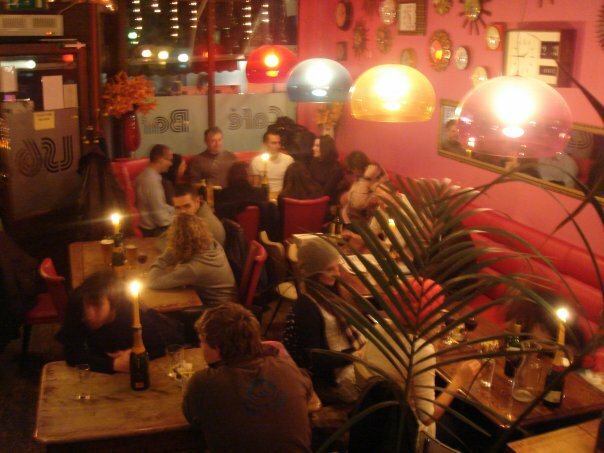 With the slogan "slow food for fast people" , LS6 cafe is in a prime location and always has a great menu, there is no doubt it is an obvious choice for many in the Hyde Park area. Weekends are usually incredibly busy, so I would try to avoid your Sunday lunches ( as good as they are, go before 11am if you are braving a Sunday brunch there). This year the cafe/bar has had a new lick of paint and some new furnishings but it still echoes that very 60's, very Leeds feel that we all love. The menu includes milkshakes, teas, coffees and amazing smoothies as well as soups, sandwiches, Full English breakfasts amongst many other great deals and not too bad prices either. I personally have nothing but praise for this place, the staff are incredibly friendly and attentive and the food is always good and never takes longer than expected in your standard cafe, despite hearing otherwise from some of my friends. It's not just a place to visit during the day for our typical hangover cures but also a great place to go in the evenings for a few drinks with some mates after Uni. Also it's known to host theme nights, exhibitions, live music even yoga, amongst other great events. I would recommend checking it out one weekday to get a feel for the place in a really relaxed and chilled atmosphere.